Welcome to Christiania Ski Club! Founded in 1954 it was named after Norway’s capital, Christiania (now Oslo). 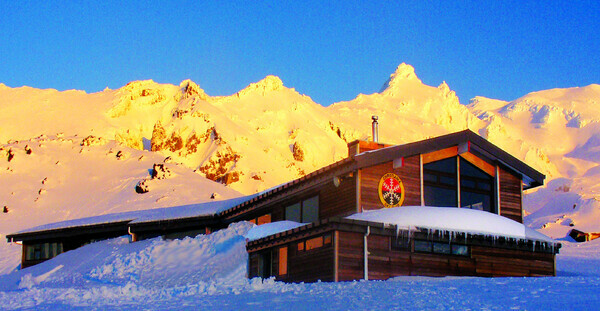 Christiania has maintained its popularity as a family-friendly ski lodge on Mt Ruapehu’s Whakapapa ski field. Situated about 50m above the bottom of the Rangatira Express, the club commands magnificent views North to Ngauruhoe and across the National Park basin. It is within easy reach on foot from the carpark or you can ski in from the top of the first chair. Christiania Ski Club welcomes new members. We are in the process of moving our website so some information and functionality may not be available temporarily. Apologies for any inconvenience. Originally founded by three Waikato families, “Christie” has strived to maintain its family-friendly ethos and visitors are warmly greeted by adults and children alike. Clubbies eagerly flock to the mountain during weekends, holidays and mid-week to enjoy skiing/snowboarding and to relax in the warm lodge over anything from a milo to a mulled wine. Christie runs the renowned Christiania Derby which has been running for over 60 years.